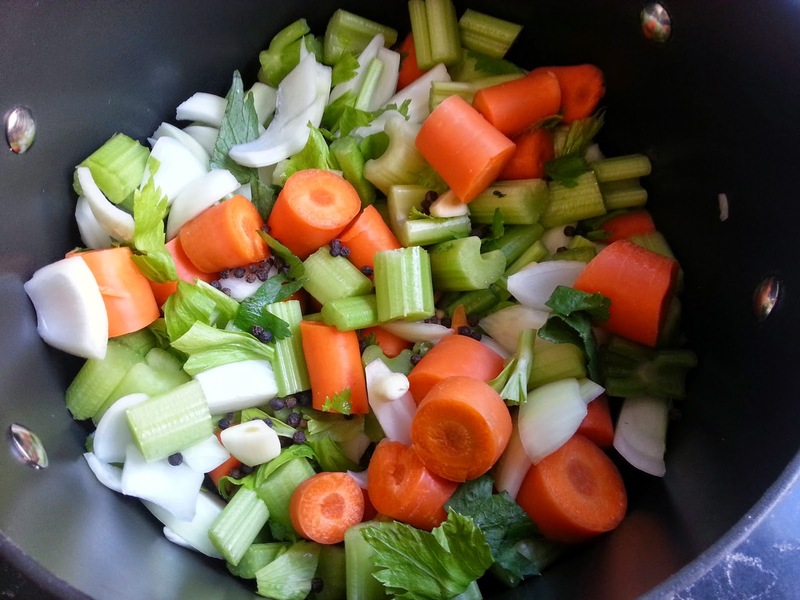 A good quality vegetable stock makes all of the difference to vegetarian food. A good stock will take an OK soup to a beautiful soup. My chef friend recently extolled the virtues and simplicity of making stock instead of using stock powder or buying stock when cooking us a risotto … omanomanom. I had never even tried to make one myself because I assumed it would require too much effort and cost too much. I was wrong. 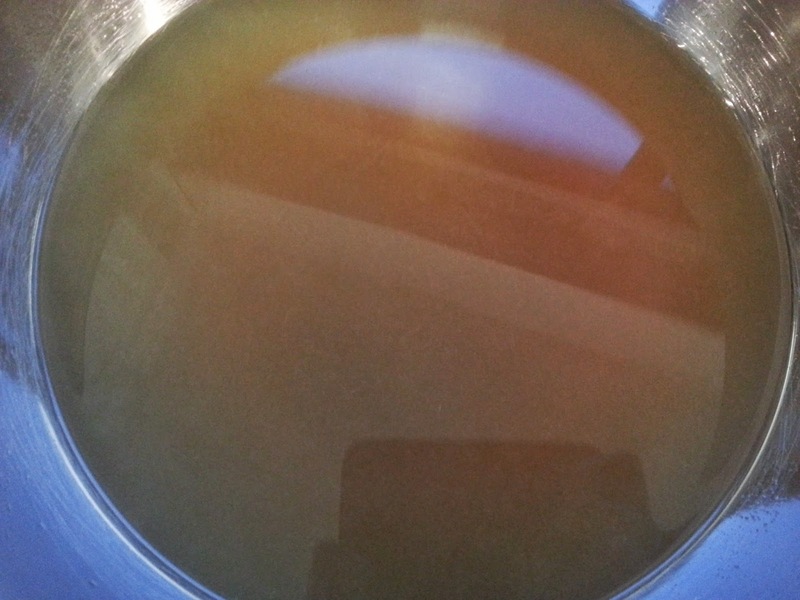 The following is a very basic mirepoix based vegetable stock that makes SOOO much. It freezes well for 4 – 6 months so you are set for a very long time when you make this. My perception that it is too expensive went out the window as well. I’ve been purchasing pre-made stock for a while now because I thought it was better than the powdered variety. But my local supermarket sells 1kg bags of carrots for $1, and onions and celery are cheap as chips too. The rest I have in my pantry at home. Provided that you make it on a day when you plan to be home for a few hours it is pretty low maintenance. The only time required is to roughly chop the veggies, boil the water, then check it occasionally until it is ready. I recommend reading the potential spins section of this post, as what I am making is a very basic version which you could jazz up all sorts of ways to make something even more spectacular. The smaller you chop the veggies the more flavour they will give to the stock. 1 head of celery – the very bottom part chopped off, stems chopped into approx. 1 inch chunks (or smaller), include some leaves. 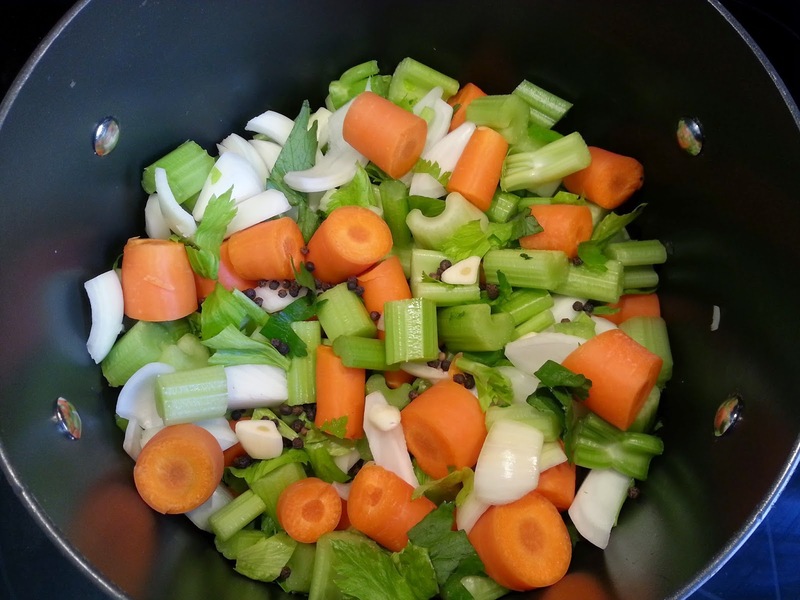 I have made a mirepoix based stock because it is the basis of a lot of French, Italian and other beautiful cuisines. Also because I love it. You could always substitute or add spring onions, leeks or any other members of the onion family. Another option is to use all of your leftover veggies from the fridge rather than wasting them. Whatever combination you use will add new dimensions to the stock. Adding mushrooms will add a depth of flavour. Adding capsicum will make it sweeter. If you are really in the cooking mood, then pan frying the vegetables first will unlock more flavours. You can also add a bouquet garnis or other herbs to the stock to add flavour dimensions. Other roots can be added such as turmeric or ginger, or greens such as spinach, kale or seaweed for something different. This stock does not have any of these additions, because I wanted to make something very basic which will go with anything. Adding these extra flavour dimensions would make for better soup broths, however. 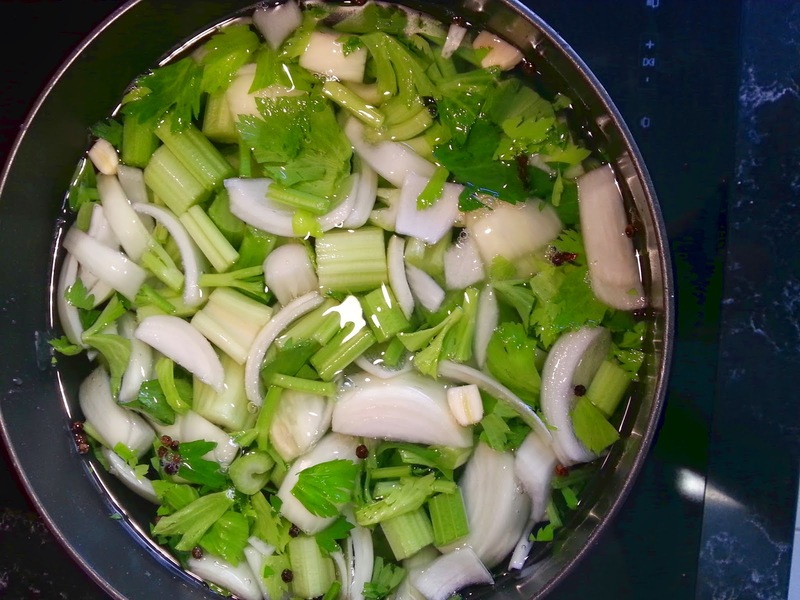 The onion and celery are less dense so rise to the top. I swear there is carrot in there! Bring to the boil, then reduce to simmer for approximately 2-3 hours, stirring as needed. Check for seasoning after 2 hours and add salt/pepper as desired. Remove the vegetables using a sieve. These can be chucked out (I know it sounds like a waste – it felt hard to do but will get easier in time. The veggies have done their thing by this time). I did eat a few and enjoy the flavour in them, though. Use what you need and freeze the rest in sealed containers. We won’t do this all the time, but I would certainly make this for the basis of soups, and if veggie stock is an ingredient required in catering for one of my vegetarian friends. I got worried after about an hour because it didn’t taste like anything, but if you give it enough time, then it becomes incredibly flavoursome. If you are finding that the water is reducing too much, just pop the lid on and keep it at a slow simmer. If you chop your veggies even smaller, then they will have more surface area touching the water, so the flavour will develop more quickly. I’m wondering whether this is something that could be done in a slow cooker as well?